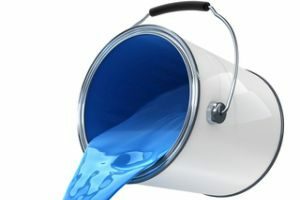 For over thirty years now, our team of professional Columbia painting contractors here at Annapolis Painting Services have been proudly providing both families and businesses with all of the high quality painting services they need to get the most out of their properties in terms of both beauty and value. Here at Annapolis Painting Services, our team of experienced painters specialize in a wide array of different high quality services, including interior and exterior painting, carpentry, roofing, siding, power washing, and even hardwood flooring. With our professional help, you can get your home or business looking better than it ever has before, and all you have to do is give us a call. Here at Annapolis Painting Services, we believe that you should never have to settle for second best when it comes to your residential or commercial property’s painting needs, and when you make the call to us, you never will. Here at Annapolis Painting Services, our team of experienced professionals have the skill, training, and experience necessary to ensure you get exactly the kind of service you need to maximize the value of your property, no matter how simple or complex the job you have in mind is. If you have any questions about our full line of exterior or interior painting services, or if you would like to schedule an appointment for consultation with one of our specialists, give us a call today. Our team of experts are always standing by and would be more than happy to assist you in any way we can. When you and your family make the decision to paint the interior of your home, you are making a decision that can have a number of wonderful benefits to both your overall happiness with your home and its value, but only if the work is done right. When you decide that it’s time to get that new paint job you’ve always wanted for the interior of your home, you need to be sure that the team of professionals you hire to do the work have a history of providing high quality results for their customers, and that’s exactly what you’ll find when you make the call to Annapolis Painting Services. Our team of highly skilled professionals will work with you directly to identify exactly what it is you are looking for from your new paint job, and if you aren’t completely sure what you want yet, our team of design consultants would be more than happy to present you with options until you find it. In the end, we guarantee that you and your family will be absolutely thrilled with the results of your service. There is more to painting the exterior of your property than just grabbing a paint roller and going to town. The exterior paint job of your home or business is a very large part of the overall first impression people form about your property, and if it isn’t done correctly, you could very easily find yourself with an eyesore. In order to ensure that you get the quality materials and service you need to keep your property looking its best, you need to make sure that you hire the company with a proven history of delivering exceptional quality results to each and every one of their customers. Here at Annapolis Painting Services, you can always rest assured that you are getting the very best in quality service when it comes to all of your exterior painting needs. Don’t take chances when it comes to the appearance of your property, give our team of experts a call today. If you are looking for a professional painting contractor in Columbia, give us a call today at 410-974-6768 or fill out our online request form.